Portrait of Dr Tara Swart, at the Corinthia Hotel in London. Picture date: Friday 18th August 2017. Dr Tara Swart is a neuroscientist, leadership coach, medical doctor and award-winning author. 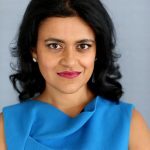 She works with leaders at the top of the business world to help them get the best out of their brains, reach their peak performance and improve their mental agility and resilience. After graduating with a BSc in Biomedical Science and a PhD in Neuropharmacology from King’s College London, and a BM BCh (medicine) from Oxford University, Tara carried out her Psychiatry residency at The Royal Free hospital, Tamarind Wellness Centre in Australia, the Mid Atlantic Wellness Institute in Bermuda, and the West London Mental Health Trust. These positions included research and practice in child psychiatry, learning disabilities, drugs and alcohol dependency, elderly care and medium-secure criminal psychiatry. In addition to running her consultancy she is also a Senior Lecturer at MIT, a role which ensures that she remains at the forefront of the latest developments in her sector. Tara’s clients include FTSE100, Fortune 500 and Magic Circle firms, as well as UHNWI entrepreneurs. She specialises in sectors that face unusual levels of stress or change. As a neuroscientist and executive advisor, I am used to working in not one, but two male-dominated professions, regularly finding myself at the cross-section between science and business through my consultancy work with leaders. As a coach, I am able to observe the qualities which lend themselves to effective leadership, as well as to consider how we might change the physiology of the brain to improve our performance and behaviour, become more mentally resilient, and be better leaders. My clients and peers tend to be men, due to the continued gender inequity at the top of business today. So I want to consider how understanding neuroscience can help empower women to join the ranks of the business elite. I see a high number of male sufferers of imposter syndrome because of the gender make-up of my client base, but in our society it is understandably perceived that sufferers of imposter syndrome tend to be women. This may be because women have lower levels of testosterone, the hormone which correlates with confidence, although research in this area is somewhat lacking. The condition is characterised by a feeling that, despite having the relevant qualifications, you aren’t sufficiently competent or expert to be in the position you are in, or that you do not deserve to be appointed to a higher post with more responsibilities. Imposter syndrome promotes the cycle that prevents female leadership: women don’t go for roles because they don’t believe they have the requisite level of competence, and in turn there are fewer women in leadership positions to set a precedent and make leadership look tangible and achievable to others. However, there is a growing body of evidence which shows that diversity of thinking can really benefit a business’s bottom line. Diversity has been proven to help businesses and projects thrive, not only creatively but also financially. Currently 80-90% of people in top level leadership positions are male, yet research conducted by academics at the Ashridge and London Business Schools has shown that cognitive diversity will translate to higher performance amongst teams, and will therefore have a positive impact on the bottom line of an enterprise. There is a place for female leadership qualities (which can exist in both male and female brains) such as intuition, emotional intelligence, flexibility of thinking and valuing human capital – not least because these qualities are less difficult to imitate by technology; they will continue to be more valuable as the world of work changes and AI becomes more prevalent in decision making. We see time and time again that inclusive attitudes help to foster creativity and innovation, and to inspire confidence amongst the workforce which in turn leads to bigger, bolder decisions and to the implementation of change. 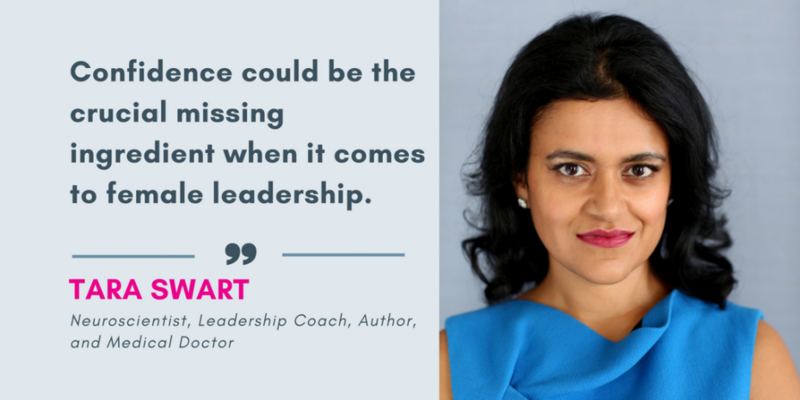 Indeed, confidence could be the crucial missing ingredient when it comes to female leadership. Whilst men naturally have up to 8 times higher levels of testosterone, no one is born confident, or under-confident for that matter. It can be developed and improved by helping our brains imagine what we can achieve and how to reach our goals. Try thinking consciously and mindfully about some of your past successes, whether professional or personal. Even paying attention to the successes of similar people around you can help your brain to visualise these accomplishments as achievable for you as well, reframing what might originally seem out of reach as something obtainable. Most people assume that our brains are fixed once we reach adult life. However, research has now shown that our brains are ‘plastic’ and can be adapted and changed, forging new neural pathways, according to how we stimulate and use them. This ability is called neuroplasticity and means that we can change the physical structure of the brain to rewire our responses to challenges and improve our behaviours. Repeating positive mantras is thought to help with this rewiring process as we reroute negative thoughts of self-doubt towards self-belief. Take your biggest self-doubt and create a mantra out of the opposite statement. Confidence can be built up through our physical actions as well. Simply standing tall and acting with assurance is thought to boost testosterone levels and reduce levels of cortisol, the stress hormone. In the same way hunching and making yourself small will have the opposite effect, reducing testosterone levels. The posture studies have been somewhat discredited in terms of actually changing your hormone profile, but if they make you feel better – use them! Certain types of aerobic exercise, such as boxing, can actually help to increase testosterone production. Finally, make sure you look after your brain. Rest it, fuel it, hydrate it, oxygenate it and simplify your decisions to free up cognitive resource. All of these things will go a long way to reducing your stress levels, strengthening your resolve and enhancing your mental resilience, helping you to power through to the next stage of your career. Dr. Tara Swart,for the EVE Program.